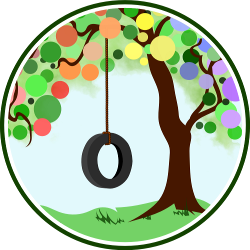 This entry was posted in Gentle Discipline, Responding With Sensitivity and tagged behavior, children, discipline. Bookmark the permalink. A few years ago, our local school organized a crafting afternoon for all families. When we arrived, I noticed the craft activities had been set up in a very large and bright room. Children were running around, talking, laughing, and being lovely and loud. My then three year old, bubbled in, found a teacher he had met a few days prior and started making a feathered yellow duckling. My oldest son was five at the time, and jumping feet first into large, loud, social activities just wasn’t his style so we hung back to observe. Hearing “What’s wrong with him?” or “Is he always shy like that?” is often a bit of a theme for parents of introverted children. Our society tends to place a lot of value and welcoming smiles for extroverted children and is quick to assume introverted children need to be coaxed or fixed or forced to be more like the naturally extroverted, bubbly children. So, about ten minutes into being at the crafting event, we walked over to the duckling station, and my son found the project he was interested in, gathered some materials, sat down next to a classmate, and they crafted, laughed, and played until the end of the event. There was nothing wrong, my introverted son just needed time. Basically, there is nothing wrong about being introverted or shy. Actually, there are a whole lot of good qualities that come with it. Dr. Sears has explained in several of his writings that introverted children are often calm, observant, and cautious. Many introverted children have a solid sense of self, are polite, and enjoy playing independently. Much like introverted adults that drive to seek quiet is a natural way for introverted children to find moments for inner reflection and learning. 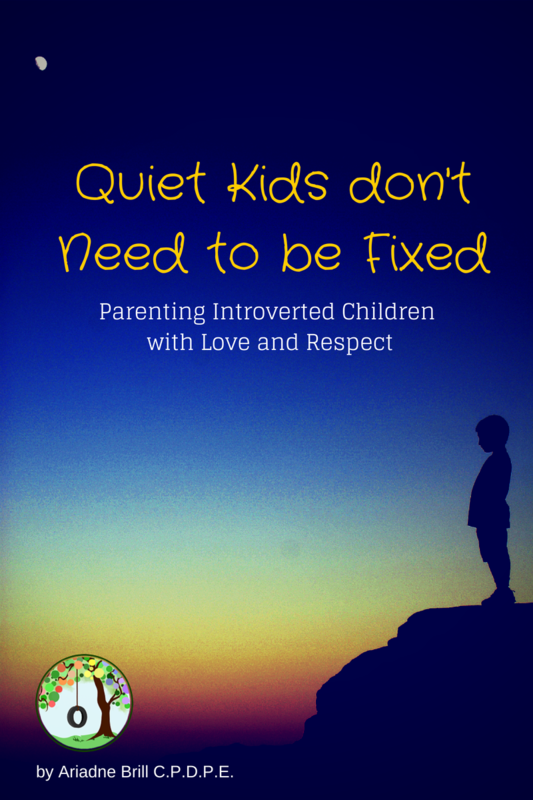 Introverted children don’t need to be fixed – they just need to be better understood. Is it tempting to coax an introverted child to be more outgoing? Absolutely. For instance, seeing my bubbly, extroverted second child being received with smiles and open arms just about everywhere, makes it extra difficult at times not to want that same kind of warm reception for my older child. Forcing extroversion however doesn’t create it; in fact, it often leads to more reclusion and a negative pattern of interactions. Introverts that are pushed tend to pull back towards quiet even more. Too much of this dynamic of pushing-pulling away is detrimental because it squashes the introverts inner voice of calm and confidence in directing their own needs. Honestly, I used to worry – not so much about my son’s introversion but on how to navigate the questioning and cross looks we so often deal with. I have learned to drop the worry and instead of motivating my son to be more extroverted, I have learned to simply support him with love and respect. I have practiced not putting my son on the spot and I don’t expect him to jump into social situations. I let him have some say over his social life, striving to create a healthy balance between alone time and time with friends. He often comes with me to the grocery store and to run errands, and I see these as great chances to model social interactions. Some days, he asks to stay home, mostly because I am “too chatty” in the car… and that is fine, as well. If I need to offer him guidance, I strive to do so in a low voice, with empathy and respect. My son is not likely to greet anyone with big fuzzy smiles and hugs, and I know he means no disrespect by it. Sometimes, all we really need to do to reconnect is to sit together on the sofa, side by side, each reading quietly and not saying a word. In the classroom, if he could, he would complete all of his work in the first two hours and then read quietly the rest of the day. Yet, he participates well, answers and asks questions, works in small groups, and has even presented science experiments in front of a group of 20 other children. I credit his teacher for having patience and letting his comfort and confidence emerge instead of pushing it with prizes and bribes. Is there such a thing as too much shyness? Yes, sometimes social anxiety or low self-esteem gets masked as introversion or shyness. Children that have difficulties making eye contact with trusted adults in their life, refuse to speak to anyone but their parent or only whisper, cry about social situations excessively, refuse to play with any similarly-aged playmates, or find it difficult to make friends should be assessed by a professional, such as a developmental specialist or psychologist. Not wanting to jump into, say, a judo or swim class on the first try however is likely not an indicator of a problem – it is simply caution and restraint. Introverted children are often misunderstood. They may not leap into Santa’s lap for a picture or smile “nicely” at store clerks. They may prefer to listen instead of speak; they may like to be quiet and reflective instead of loud and bubbly. Like any child, what they really need to flourish is encouragement, acceptance, empathy, respect and love for being just the way they are. My mother used to tell “shy” children “You must be a thinker.” She meant it as a total compliment and it always seemed to be well-received. Its one of the sweet, thoughtful parenting approaches she had that I will always remember about her. It wasn’t that the child was shy – they were thinking. There is nothing wrong with that! Being a “Thinker” is such a nice way to describe introversion. thank you for sharing that! So true. As an introverted adult, I’ve always been cognisant of not forcing my son into things until he is ready. Lec, thank you for sharing that. I have had to learn along the way to find a good balance between encouraging and respecting, and stepping back to understand things from the introverted perspective since I am very chatty and bubbly myself. I think we need to be making more of a distinction between shyness and introversion. Introversion should never be seen as something negative and no one should try to turn an introverted child into an extrovert. But if a child is shy and their shyness stop them from doing things that they do want to be doing, I believe we should help. I work with shy girls to help them become more confident but I’d only ever want to get involved if the child/teenager was unhappy because of their shyness. If the child is content with the way they are, there’s no problem to address. My firstborn son, now 3, is very shy/quiet/slow to warm up in social settings. I’m getting better about helping him warm up, being patient/ok with that personality trait, and prepping him for situations ahead of time. What drives me bananas is the other adults that label him as shy! How should I respond in a way that is respectful to the adult but supportive & encouraging to my son as he overhears our interaction? I really want to be snippy and remind the adult that they are feeding a self-fulfilling prophesy when they label him as shy. But I’m sure there are more graceful ways to handle it. Ideas?